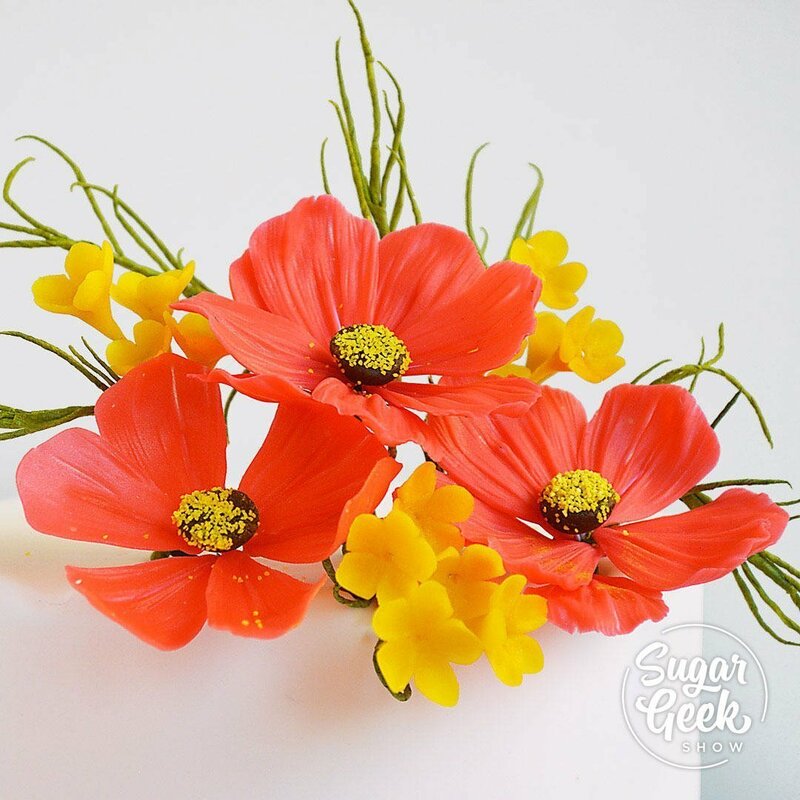 Guest instructor Shruti Archit Saxena from Shruti’s Cake Addiction brings us a highly sought-after bean paste cosmos flower tutorial. Bean paste is an exciting medium, sugar flowers using this material are flexible, can be rolled out to ultra-thin edges and remain pliable long after a typical gumpaste flower would become brittle. Shruti teaches out to make this bean paste recipe (a recipe closely guarded and only typically taught in person) and she shows how to make beautiful cosmos flowers using this technique as well as filler flowers. Shruti follows up with a quick demo showing how to arrange these flowers on a cake for maximum effect.